Many people don't realize that miniature horses are highly intelligent and, with the right training, can be very successful service animals! Miniature horse. Photo courtesy of Mane ‘n Tail Equine. Miniature horses have been in the news a lot lately! After Southwest Airlines announced that these pint-sized horses were welcomed on their planes as service animals, there were many opinions on if this was a good idea or not. Many people don’t realize that miniature horses are highly intelligent and, with the right training, can be very successful service animals. Here’s five reasons why minis are amazing service animals! 1) They have an exceptionally long lifespan: A normal guide dog usually will only live eight to twelve years, but a mini can live for fifty plus years. People create such a bond with their service animals, so it’s a huge bonus that minis live to be so old. 2) Miniature horses have a calm demeanor: Just like their big counterparts, with proper training these small horses can become unflappable. 3) These little horses have amazing vision: Because of the strategic placing of their eyes, horses can see nearly 350 degrees. Minis are the only service animal that can move their eyes independently from one another, which means they can easily sense potentially dangerous situations. 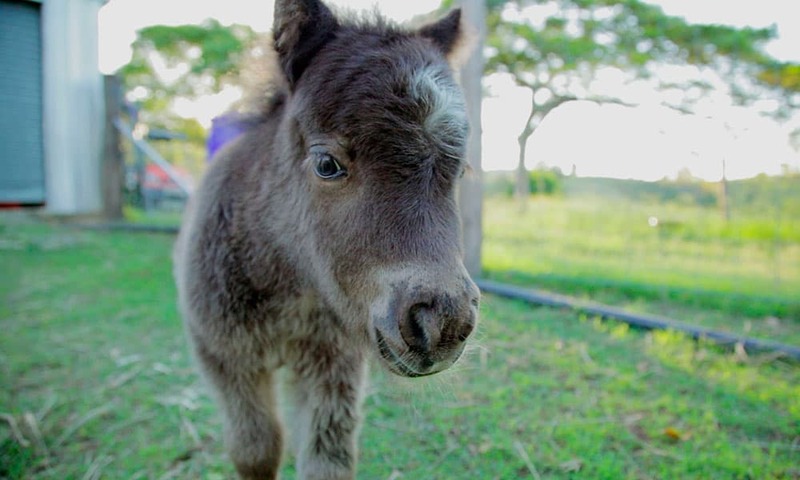 4) Minis have good manners: Did you know that mini horses can be house broken? They also do not get fleas and only shed twice a year. 5) They are safety conscious: Horses, whether big or small, are prey animals. A horse will always choose the safest option in any situation, which means that a mini used as a service animal will prioritize safety. Do you use a service animal? Comment and let us know what makes your special companion so remarkable!